A resilient food system makes us healthy, makes farmers happy and regenerates the soil and ecosystems on which it depends. It keeps doing this into the future. Our dominant food system is far from resilient. In many respects it is “invisible” and taken for granted despite its huge contribution to burden of disease; environmental degradation and climate change. 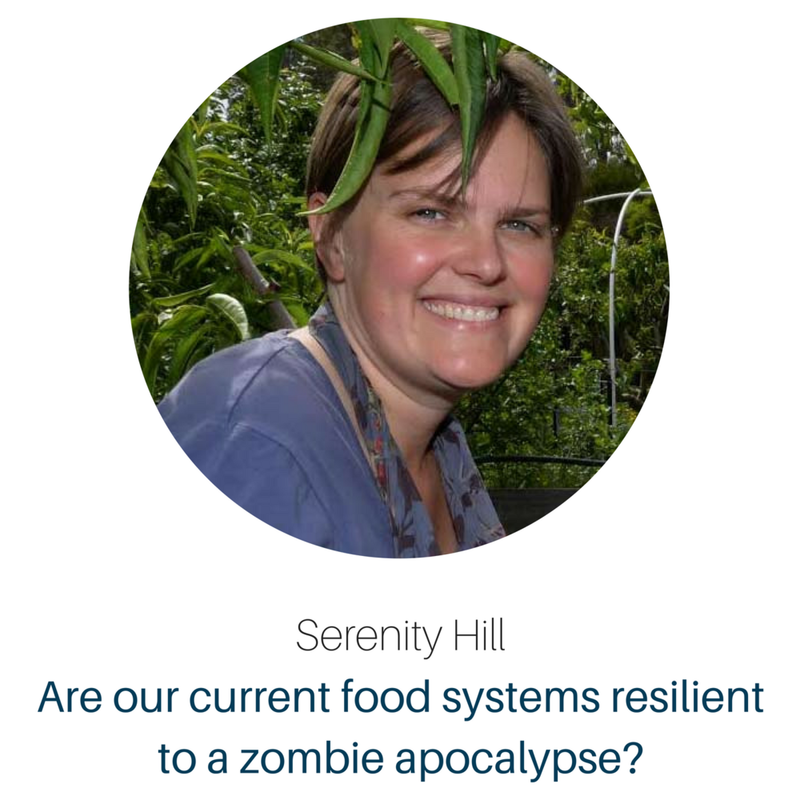 Serenity will highlight points of brittleness in the system and why we should be worried about where our food is coming from. She will dispel myths of scarcity and silver bullet solutions. She will also tell stories from the other side, the new systems and projects that are popping up like mycelium in every neighbourhood and region, and how you can get involved. Serenity Hill is co-founder of the Open Food Network, an open source and non-profit platform which provides online infrastructure for communities of food producers, distributors and buyers to co-create decentralized, transparent and sustainable food systems. Serenity first worked in government and then academia seeking ways to make a difference. She has extensive experience in policy development in the Victorian State Government, particularly natural resource management and climate change adaptation. Her PHD research studies explored what motivates farmers, and the significant increasing challenges most face in context of climate, input costs and the market dynamics stacked against them.